Fancy Dress Ball have a HUGE range of wonderful costumes for every occasion and with Halloween on the horizon now is the time to pick up your perfect fancy dress outfit. 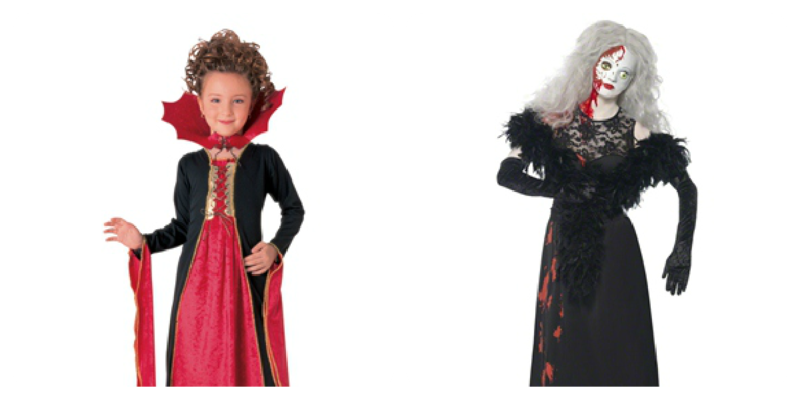 They have a great mixture of seriously scary and gruesome dress up to super cute and fun items that suit every taste and budget. We picked out two costumes to review; Minxy selected a Gothic Vampiress set and I selected a spooky Living Dead Dolls Hollywood costume. The costumes arrived quickly and I was pleasantly surprised with the feel and quality of the items. 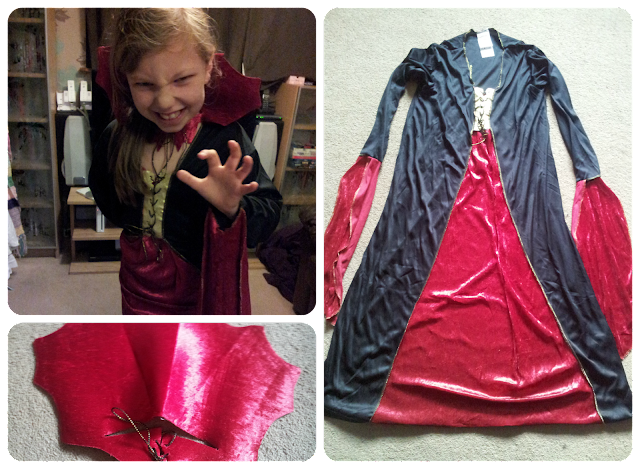 The vampiress set includes a dress and collar and it comes in a soft, velvet-like material. The sleeves are long and the tie up detailing is a nice added touch to the front of the dress. It was easy to put on and it fitted well. Minxy is quite petite for an 8 year old (we received an 8-10 years costume) but the length was ideal for her with room to use again for next year too. At only £8.99 I feel that this is superb value! She is already looking forward to wearing it properly at Halloween. 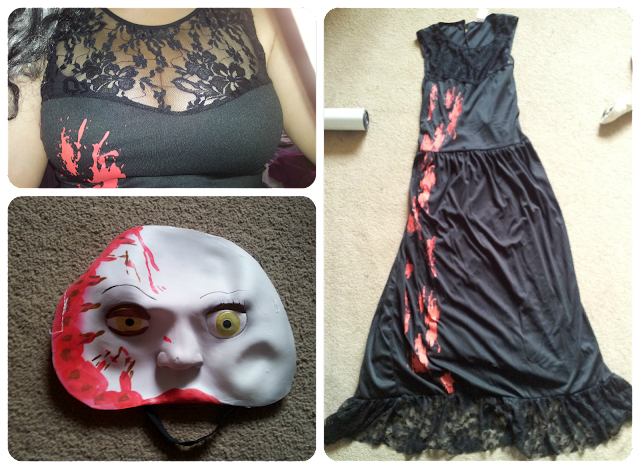 Minxy: "It's really comfortable and I think it looks good without being too scary for children"
My Living Dead Dolls Hollywood costume has pretty lace detailing to the neckline and bottom of the dress. As it is made from Polyester it's silky smooth to the touch and soft against my skin. Considering I am 6ft it fit really well with the dress ending mid calf. It doesn't cling so it's quite flattering on my curves and it is really comfortable to wear. As part of the set it came with a mask too which has an elasticated strap for a great fit and it has eye and nostril holes so you can still see and breathe! It is flexible and soft so wont rub or scratch while wearing it either. Both of the costumes came with popper sealing bags and hangers making them easy to store away. Fancy Dress Ball also stock a variety of accessories to go with your costumes including make-up, weapons, jewellery and more. 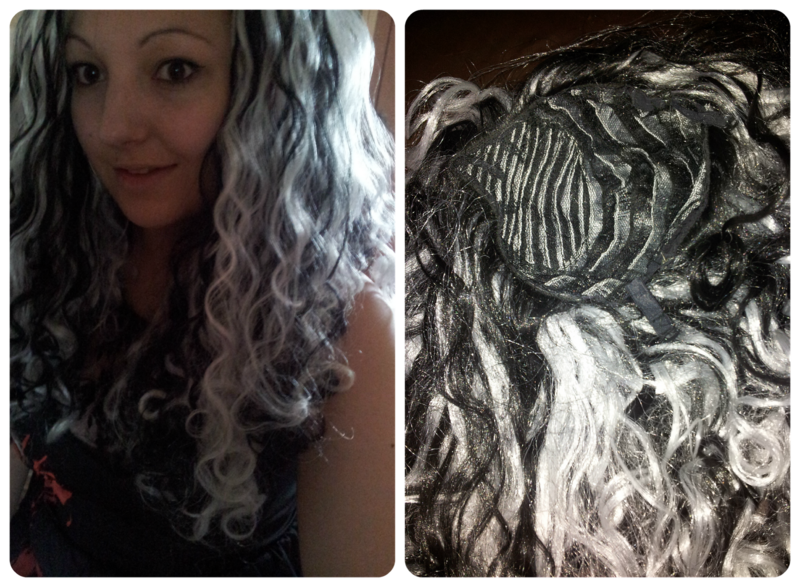 We were sent a wig to wear with my costume that is adjustable to fit any head. It wasn't itchy and it kept in place well.There weren't any noticeable bald patches and it was really soft with nice waves that stay. Very nice collection of fancy dresses. I just love it. Especially the red dress worn by the girl. She looks very beautiful in it.